allow time to discover the textures and flavour. If they don’t want something today, they might want to try it tomorrow. Besides a few nice plates and bowls, that is good to have on hand (honestly any bowl will do in my opinion), I think these 3 things down below are super helpful to have, when your baby is starting to eat on their own. I find it easier to put them in a nice good big, that is easy to clean, as you don’t really want to change their clothes after every meal. These ones by Hippychick are really good, as they are light, colourful and easy to clean afterwords. They have a variety of them – for starters the ones with a sleeve would be a good choice. Go check them out here! As long as they’re short and easy to grasp – these from OXO are great as their handle is chunky and easy to handle. Have a look here. I try to be eco friendly when I can. I found these reusable wipes and I love them! So easy to wipe the children when still sitting in the high chair and not use million of disposable wipes in the process. After use, you just pop them in a wash and have them ready for the next meal (you get so many a pack!). You have the option to put them in a box with water and add some essential oils, but I personally prefer to wet them on the go, with fresh warm water. Such a good thing to have when you have small kids – go see them here! BABY BJORN HIGH CHAIR: so easy to use and clean, light, foldable and super safe! A real find! INFANT/TODDLER CHAIR: perfect for when you start to wean – you can pop it on a table or a counter and feed your baby (but never leave them alone). It is also super versatile, and you can use it on the floor (put the baby in when you hang the laundry..) or if you want to do some arts and crafts/ sensory play but want the baby contained. There is so many things I could add, but those are my too essentials for baby led weaning. I hope that is helpful to anyone who is starting to wean or thinking about it. I have linked all the products so you can find them! Let me know what you think in the comments down below! Would love to hear all the experience and favourites you have! Easter means that spring is almost here! Although it might not seem like it, as the snow keeps falling, but first spring flowers are peeking out now, and I hope we can soon bask in beautiful spring sun. Easter is such a good holiday, as there is million thing we can do with kids. Winter blues are nearly gone, so we can use all the colours of the rainbow. Weather you celebrate Easter or no, you can join in on the crafts. Here are some ideas and a look through what we did this year. We started with this easy but so beautiful flower bouquet. Using yellow and orange thin paper for the flower bit; green ribbed paper for the stems; pink and yellow ribbed paper for decorating the glass vase. We also needed glue, scissors and green and yellow felt tip pens. This craft will let children practice shapes (as we used circle and star – sort of) and also cutting them. It introduces them to different papers and how to cut them. Children love sticking things together with the glue, so they will surely love to do this craft. You will need equal amount of yellow flowers, orange circles and green stems to be cut out first. When you cut all the needed shapes, put one flower together with the kid. Ask them how it should go, what do they think. It’s good to visualise it before glueing all together. Than you can just let them do the magic. We have bent the green stems in half, so it gives the flower a little more stability. At the end we just simply decorated the glass vase (recycled yogurt pot!! ♻️) with 3 red and yellow strips and put on a handle – all with paper glue stick. So easy and so beautiful. I think it turned out really nice, and it’s a great easter/spring decoration that totally brightens up the room. This craft is a little more complex but super fun and the result is just so cool. You will need: water balloons, string, white glue, colour paints of your choice (we used red and blue that I than mixed in pink and purple) a little water to add to glue and colour, plastic plates for the glue colours to go in (and some plastic bags to put them in if you are using the kitchen Tupperware – or you can use disposable plates), spoons to mix the colour and glue together, scissors, old newspaper for protecting the table, and old shirt or paint cover for the kid and some disposable gloves if you want (or you can get your hand messy which is also fun). Than you start with preparing colours. There is no specific recipe, pour glue on the plate and add colour, than add some water (I would suggest not to much). Cut the string on about 30 cm long (eyeballing it) – It would be a little better to just use one long string, but depending on the kids age, you can adjust this, so they don’t get frustrated with a tangled mess. Put all the pieces of cut string in colours and while they are soaking up the colour, blow balloons up and tie them to a string. It’s great if you have something where you will be able to hang the balloons up while they are drying – we had a lamp over the table witch was perfect, but anything will do. Just make sure you protect the area beforehand and have everything ready for when you finish with them, as your hands will be sticky and gluey. Than just take a ballon and start placing strings around it as much as you can so the ballon is all covered. Once you are done, hang them up and let them dry overnight. Next morning pop the ballon inside and you will get a beautiful Easter egg decoration. For extra special egg put small chocolate eggs in the ballon before you blow it up and than once you pop it there will be chocolate eggs peaking out through the string. Since there was so much oriented activity, I though it might be nice to add a little free bonus activity, where we have just used white paper and finger paint. My only instructions were, to paint something that they think looks like spring. I think activities like that are so important, so we can see the child’s creativity on its own. It is also very calming and it’s really good to use it from time to time, when we do a lot of big projects or when we see the kids are restless. It helps them to gather their thoughts and relax. This beautiful painting is the result and I love it! Easter is such a good time to do arts and crafts with the kids and there is endless possibilities – just peek on Pinterest if you need more inspiration. Hope you liked our ideas, and our end results. We had so much fun doing them and are so happy to share them with you! Nanny – parent relationship is so delicate and special, and it is unlike any other work relationship. Especially if you have a live-in Nanny that looks after you precious tiny humans and lives with you. There is no denying, that every family you work for, is different and with every new position, you learn a lot of new things – good and bad. Somehow being a Nanny, you have to learn to be your own personal advocate and coach, and the ability to advocate for yourself might be hard, especially if Nanny is living with the family. Every Nanny is different too, and some positions you go in thinking they will be the best you ever had, turn out they are not, and some positions you had a hard time deciding for, turn out to be a blessing in disguise. You almost never know for sure, how things will turn out once you commence your position, but there is surely a few good points that every Nanny Boss should follow, at least to some extent. So let me be your advocate if you are struggling, I guarantee you it will get better! Having a Nanny is a luxury, and it is definitely not one of the cheapest options, when it comes to childcare. If you can’t afford a living wage and provide her with good work conditions, than you can’t afford a Nanny and should think of other options. Nannies are human beings and they in fact, do get sick from time to time, most of the time from something they pick up in your house. So don’t make her feel like she can’t be sick, or she has to be afraid for her job, if she does. Yes it’s a huge inconvenience for you, but a good solution for situations like that is, to always have a back up. That way you don’t get stressed out and your Nanny can get better without feeling, like she is letting everyone down. The same goes for having your Nanny work crazy hours. If you overwork your lovely Nanny, no one benefits from that. Some weeks might be a bit hectic and you will need her more, but than make sure you give her enough time off to recover. Unfortunately Nannies are not robots, as much as some families would like them to be. Don’t bank your Nanny hours! It’s always good, if both sides are flexible to some degree, but banking your Nannie’s hours is something you shouldn’t do. I you for some reason don’t need your Nanny around, after you come home, or you want to spend morning alone with kids – that is completely okay. But don’t expect from your Nanny to be making these hours up. She was free and willing to work, you decided you don’t need her at that time, the hours are gone and not to be stored for when you want. Just because your Nanny is living in your house, doesn’t mean she is available to you all the time. Yes, there are emergencies, and she might have to step in from time to time, which is different. But if you regularly ask her to babysit the evening an hour before her day ends (even though you knew you have obligations in advance), or ask her “Are you in tonight, could you listen for the kids?” that is just a no go for so many Nannies. And to be honest, most of the live in Nannies will not like this, but will still do it, as they will feel guilty and obligated, since they live in your house. But is it so important to respect their time off, as that is essentially giving them time to recover and start fresh next day. It’s also important that your Nanny can plan her evenings and socialise with her friends or do a sports class. That will keep her happy and content, and not isolated and miserable. So whenever you can, plan your babysitting nights at the beginning of the week and give her plenty of notice – sure, it’s not always possible, but for most of the time it is. If you do need your Nanny to be available to you 24/7 for whatever reason, than you make sure that she knows that from the get go, and she is also noticeably compensated for that. But that is a whole another ball game. As much as you love your privacy, your Nanny loves is too. She chooses to live in at her job for whatever reason, but that does not mean that she doesn’t love peace on her time off. And depending on how many hours she works, she is probably completely fine with being left to her own devices. The children that Nanny looks after might have a hard time understanding why their friend and one of the main caregivers is out of reach for them at the times. In that case it is good to set firm boundaries from the start so everyone feels comfortable and happy. Every live in Nanny knows, that when you live with the family, the rules a not just black and white. If you go to the family kitchen, and there is something on the floor – you will pick it up, sometimes even do the dishes, while you are waiting for lunch to cook or put the wet laundry in the dryer. Even though it’s weekend and it’s actually your time off. There will be a lot things, a live in Nanny will do around the house, that might not be in her job description. But she does it, because she cares about your family and your home. So just make her feel appreciated. If you notice that your Nanny is constantly going the extra mile – let her know that. Remember her birthday – especially if she is to work that day. And be generous, if you can – no Nanny will be sad about extra cash bonus. 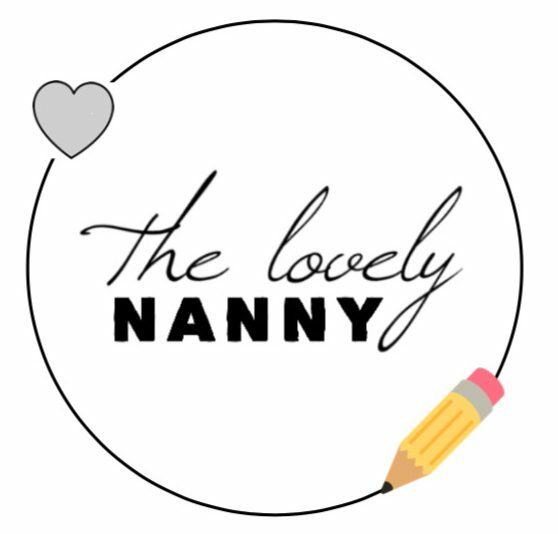 I would like to write a post about how to be a good LIVE IN Nanny as well, as I think it is equally important. This post was definitely not about criticising the Nanny bosses, but purely informative nature. There might be some, that will not agree with this point of view, and many who will – and that is okay! Everyone is entitled to their own opinion. I think though, there is so many Nanny bosses out there who are just amazing, and that makes me very happy. I read about them all the time from my Nanny friends – and I, have been very lucky, to have some pretty fabulous bosses in my Nanny career. I was writing in female form, but I know there is many Mannies out there now – which is so so great! Yay! – and I definitely am not here to discriminate, so just a little disclaimer, that the same goes for Live in Mannies 😉. We live in a day and age where we have an overwhelming amount of things. Sometimes it’s super hard to be grateful for what you have, and be grateful for the things someone does for you rather than buys for you. For tiny humans that is just the same, especially after December when they usually get an enormous amount of things that they don’t even know what to do with. I get it, I love buying presents for loved ones, but I’ve come to realise over the years that the most important thing is my relationship with the person, I want to give a gift to, and my time with them, no present can substitute that. So, I wanted to write down a few ways we can practice gratitude on a daily basis with children. It does matter what we instil in their little minds from early on, what patterns we shape, so I think this will be a good thing to do all year around, but especially around and after holidays. The game needs ideally three or more players and one person to serve as a timekeeper. Have everyone sit in a circle with one person starting off saying, “I am grateful for [fill in the blank].” That person has five seconds to come up with something for which they are thankful, whether it be their favourite stuffed animal, food or activity. As soon as the first person finishes, the person to the left goes. “The key is to say what you are grateful for without repeating, and without pausing for more than five seconds,” by Lennay Chapman. Every night before or after bedtime story we can say what we are grateful for. This makes for a nice finish to the day and leaves us feeling good and happy. Teaching your children to be thankful for the hard work everyone put into making the life easier and happier for us is crucial to raising unspoiled children. No matter how many staff you have at home teaching children to appreciate what everyone does for them is just right. Being nice and kind in never overrated. Teaching by example and letting children know that just doing a small thing like helping an older lady with the groceries or picking something someone lost and give it to them can make their whole day and change the world for better. That might sound silly but that is exactly how we start, with small things in our community. We throw thank you around a lot, but do we really mean it? Maybe say thank you less but when you do, really mean it. When we teach children to say thank you, let them say it in a full sentence like: ‘Thank you daddy for repairing this for me’. That way ‘thank you’ is not just a word, but a mean to let someone know they appreciate them. Do small things/surprises for your loved ones, like buy their favourite fruit, make a card, make the bed or clean the office and involve kids in it. Ask them what they think would make someone happy. There is really many many ways we can practice gratitude with kids and create a happy life. I hope this will give you some ideas and bring you joy while doing it. I would love to hear how are you practising gratitude? Let me know in the comments! P.S. I originally wrote this blog post for blog of a lovely Nanny from Australia that live and works in London. We live in a world where recycling has become totally normal and is part of our daily routine. It is particularly important to introduce recycling, and be an example, to the tiny humans. One way to do that, is by using things we have on hand – or would throw out. We certainly don’t need to buy a lot of things to do a craft. Sure it’s lovely to get special papers, boxes, tubes, all sorts of glues, glitter and stickers. Sometimes we want to do a specific crafts, and that is perfectly fine. But I challenge you to go around the house and you will see there is a million things, you could use, to do all sorts of craft with children. we all have things delivered – amazon boxes are usually in a really good condition and they are all brown (just remove the sellotape) and you have a great brown carton to work with. yogurt cups (there is all sorts and shapes out there! I have been very lucky, and sometimes I guess spoiled as well, as in all my Nanny positions I have had a lot of great materials bought, so I can do crafts with the kiddos. But as much as that is lovely, its also important to use what we have and not accumulate new things. That way we can help our lovely planet at least a little bit. The craft will not be any worse if it’s made from old material, and there is nothing that a little splash of colour and glue can’t fix! The only thing that matters, when we do crafts with kids, is what they learn along the way and that they have fun! I will aim to do a recycled craft now and than with kiddos, so join me, tag me in your recycled crafts, message me on instagram or send me an email on the.lovely.nanny.world@gmail.com and I would be happy to post all the crafts up here for everyone to see! Strange ha, it’s March and I feel the winter has just properly started. It’s snowing outside, it so cold and I don’t know about you, but I’m ready for spring! Unfortunately we don’t really have a choice though, so I thought, I can write down a few things, tricks and hacks, that helps you survive the last span of cold snowy days. There was a World Book Day just a while ago, but you can make your own one whenever you want really. When the weather is really bad and there is no way you can go outside, search on the book shelf and get out some new books or books you haven’t read for a very long time. That way it will be more exciting. Let the kids choose the books they want to read. Take in turns, let them have a go at reading (telling) the story. They practice public speech and develop their imagination. It also never hurts to catch extra cuddles! Give the opportunity to experience all the snow is. For some children that will be a very special occasion as they do not usually get much snow or perhaps live in the country where there is none. Dress them warm (I saw a really cool trick to help keep kiddos gloves dry if you don’t have the ski ones on hand – you put disposable gloves over them!) It might be a bit strange but it will keep them dry for a bit longer so they can finish making the snowman – or snow frog 🐸 😁! – Colour the snow with syringes full of different colours (make sure you protect the area) Could be done outside or inside. That is just a few ideas from the top of my head, if you search, I’m sure you’ll find many more to fill your days. I hope you will love my ideas for fun snow days. Obviously this is just a scope of the things you can do, but those ones, were always very well received, with the kiddos I look after. Now, we only need more snow days! It’s a great day today! It a day where we can celebrate all the lovely books being written for us to enjoy. I love books so much, and I firmly believe that reading to children from the first day of their lives should be our big priority and joy. It’s wonderful to read, to listen the stories and to let the imagination come to life. Reading to and with kids is one of the most effective ways to build a language base and great for cognitive development. Reading, in combination with talking, playing, and singing, is the best way to increase the number of words a child hears and learns in the early years. Reading increases focus, memory, and concentration. It also increases your child’s empathy and tolerance for others who are different. It’s pretty remarkable what reading will do for your child and you. Reading together might be one of the only times your child has your full attention, and (as time goes by) one of the only times you have your child’s full attention. I have wrote about this book before. This book is short but very interactive, with easy rhymes and eye catching illustrations. Children can easily recognize animals and different types of clothing. Book can be extended with activity which would vary according to age. I would recommend the book for children age as little as 8 months up to 4 years. I can not say much more than, this collection – and there is a lot of them! – is super fabulous! The kiddos just love them and they are super fun for adults as well. Starting from new born on! Enjoyable and certainly not dull read for parents, teachers, nannies… Have a go! Such a good book to go through and have on hand to refer back to, weather you are a teacher, parent or grandmother. This collection has many other great books but I believe for start that is enough. Touches on educational theories and approaches of great Vygotsky, Maria Montessori and others. This book is all about feelings and it super fun and relatable to the younger generation now. Its all about the things we need to teach children now and that is compromise, tolerance, friendship and the power of saying sorry. Let me know which one is your favourite book, when do you read and who do you read with! I would love to hear all about it! I have linked all of the books so you can find them, just click on the title! You can got to this website to get more book resources. Da da da da (imagine a real serious music) 😁 Well Okay, I Have been listening to a podcast from founder of a Nanny agency, Lucy, about how we have to give Nanny agencies a break. And I thought I can write my view on the topic. It is a very touchy- feely subject, but I feel I have quite a lot of experiences with Nanny agencies in a different countries, good and bad and really bad. I was so incredibly excited when I signed with my first Nanny agency. I imagined it as they see me as a great professional who will be a good asset to their portfolio and I was just so thrilled I will be represented by the best in the business. I had deepest respect for them and seen them as the ones who will get me the jobs I want and represent me fairly. I had grown up since than a little, but it still catches me by surprise, that way too often when the Nanny agency places you with the family, they are done with you. That way too often you are not being put forward for the jobs you want (given you do fill all the criteria for it), that sometimes you will even be sent to the interview and there will be no-one there, or the family will be a really bad match for you – even though you said what you are looking for. Once you learn how they operate (and I have to add it is not all of them that operate the same) than you kind of almost give up, as somehow the middle man (which is the agency) never seems to work in your favour. As much as they say how great you are and how they know you will be perfect for the jobs they are sending you to, it is really up to you to read between the lines and see what the situation is. This is a view from one side – Nanny side. I also want to say that I do know how much hard work goes in to what the agencies are doing. Lots of times the clients (families) they are pitching the jobs for, have really poor communication with them and sometimes they even disappear. I imagine every day they also have to deal with Nannies who have to high demands – with too little experience. All that said I still feel many of them are not giving enough support to the people who they are actually placing in the positions. When things go bad with families, and believe me – they do go bad (just scroll down a Nanny facebook page – you can read horrible things daily), the agencies lift their hands of the case and say they can not do anything. I do agree that problems that occurred on the job, you need to solve by yourself, but I cannot help but wonder, what to do when things really go south – when you are in a new country and the family trows you out, or you are not getting paid, being assaulted verbally…ect.). I have a hinge that agencies who are big and busy and are constantly changing their staff, sort of loose the balance and there is no way that that agency is the right one to represent you. Another problem I see is no update, working in the stone age since forever. But times change, people have different needs and no time. Just an example to give you. When I was looking for a new position a while ago, I signed with a few new agencies. For most of them I had to send in a new application form, which usually is at least 4 pages long, with all my details from my CV written in. Every form has different layout, for some of them I needed to instal new programs etc. Don’t get me wrong, I want the job, I have to put in the work, that is cristal clear to me, but at the time I was working 6 days a week and more plus some nights and every one of the forms took me hours to do. There was only Lucy’s agency that had this clever survey you have to fill in instead of the old boring Application form. I thought that was really good, and refreshing amongst all the other agencies. I would also like to write about some positive things regarding Nanny agencies and there is definitely a light there. I have been signed with a lot of ”high end” agencies, that literally promised the world. From all of them I can literally count on one hand how many I can trust to represent my name. Those will usually be smaller agencies (but by no means small in work ethic and experience), and the ones that did not twerk the jobs when presenting them to me. To conclude what I think is, if the agency is not what you think you want, than you have an option not to work with them anymore and focus on being loyal to agencies that work with you and for you. The ones who actually put you forward for the jobs, the ones who respect you millage and your worth. You also have to learn that some things (most of them) you will have to resolve yourself, and I promise you, that you will get really got at it. But we do learn all our lives, and don’t be so hard on yourself if you fail the first time. BUT where to go to deal with all your work frustration other than to the agency, your family or your friends? I will write about that soon! So stay tuned! I have been very lucky to travel a lot. With job, and alone. I wanted to talk about things that I do before and during the travel so I feel comfortable and safe when I’m somewhere new. I do not mind that much when I travel with my job as we are always very much looked after, but when I’m alone, it totally up to me. So if you wish to travel more, but you are unsure to go alone, this might be something you would like to read. Travel insurance is just a basic, and very easy to make these days. I usually get one from here or here, depends on what I need (annual or just for a trip). MONEY: ask your bank what is best to do when you are traveling, but so far for me has always worked to get money from the ATM in the country I am visiting – I get a big amount out and than spread it around – leave some in the wallet, some in the safe, some in the suitcase etc. just so you don’t walk around with a bulk of money. Chose a good bag you will be walking around with, that has zippers, and its preferably cross body, so you can pull it under your hand in front of your body and keep it safe for those walks with a crowd. I have been really happy with my Radley bag, because it has so many pockets to put in all you need for a day and it is still small enough to not feel too much pressure on your shoulders, but I think anything similar would be great. Know where you are going! Plan how to get from airport to your hotel in advance. with a little google search it is easy to find the best way. I would say depending on your language situation: if you have hand language, always take public airport and save the pennies for something else, if you have lots of language, maybe consider Uber which is still cheaper than other private transports. In the same line as the last point, make a plan what you want to see, check google maps how to get there, if you plan to walk – see the best route, if you take the bus or underground – check how they work, how to get tickets and ALWAYS screenshot the routes you are planing to make so you can refer back to them when you have no data on your phone. That way you will also sort of know where to go and will not look confused – you will blend in the crowd well and be less of a target for pick pockets. Take only the things you need clothes wise and technology wise. Remember you will have to leave all your big valuables in the hotel. Another useful tip I learned along the way is comfort before beauty. Unfortunately if you don’t have a personal driver and someone to wheel you around than you might need to just use your own feet. And if they do not have appropriate shoes on, they might not be very happy – which will make you unhappy and prevent you from being thing you wanted in a beautiful new city. That said, comfortable shoes can still look really nice! So don’t worry you will still look just as good on your insta posts but you will also be comfortable! Win win! 😁 So far I’m about to try the brand Ecco and Geox as I thought they look really nice and comfortable. Would definitely love some personal recommendations though! Plan outfits in advance – to save you space in the suitcase and time in the morning. When you have headphones – have in on low to medium volume so you can still hear what is happening around you! I am obsessed with my new ones – click here if you want to give them a try! Walk confident, like you know exactly where you are and what are you doing. If you don’t maybe walk a little more out of the crowd or sit on the bench in the park and than have a look on the map etc. Extra phone charger – I love this one. One thing I have in abundance is Lip balm/gloss – I swear by this ones that I found very randomly, and i like them because they smell good and stay on. Your lips can get so dry when you’re traveling so having a decent lip balm helps. Good moisturiser for your face is essential (traveling dries your skin a ton, also because you don’t drink enough). I love love this serum by Caudalie and a face mask by Aveene. To me they make miracles and they are travel friendly! So this is about it. I tried to search and link as many products I could find for you to have an example of what I actually use. If you have any questions or thoughts do write them down here in the comments or on instagram. I would love to hear about your experiences and what do you do to keep safe and comfortable on your travels.